It has a right hand exhaust port and angled inlet port. 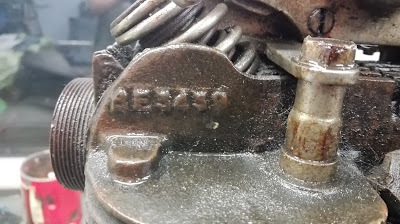 The crankcase oil level adjuster is absent from the timing cover. 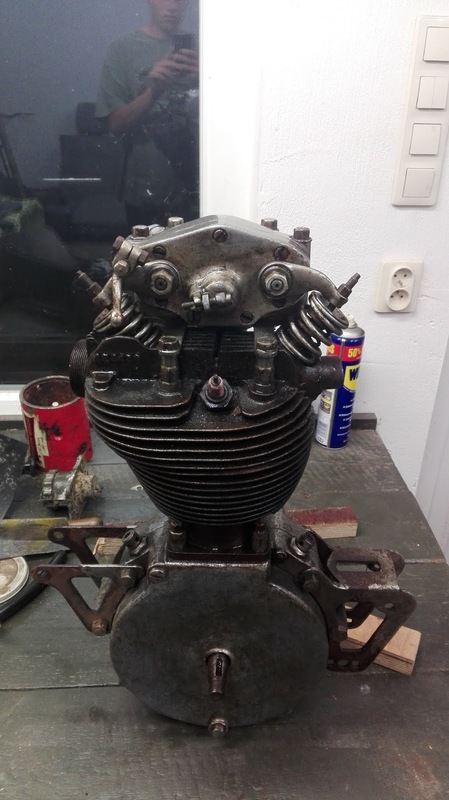 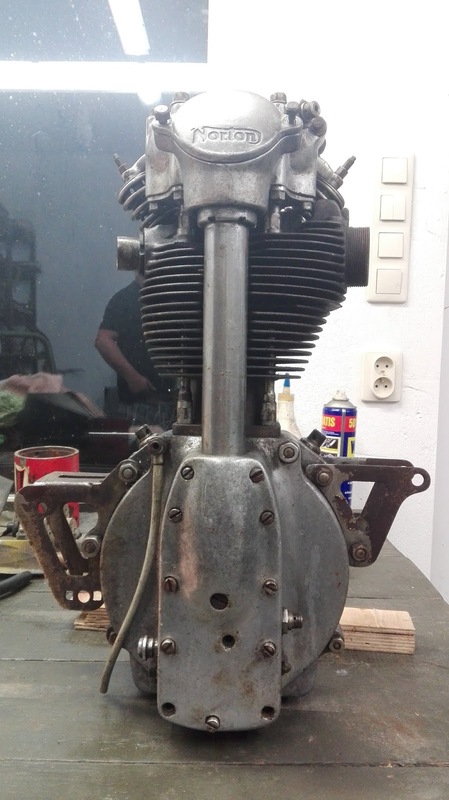 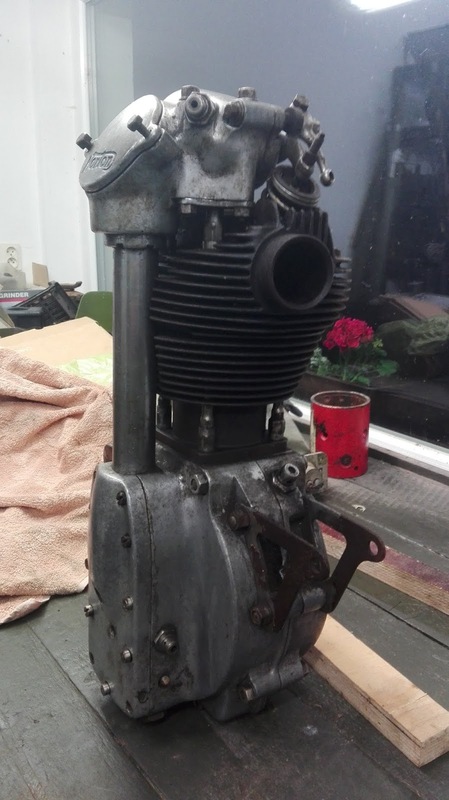 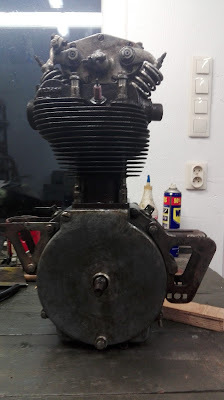 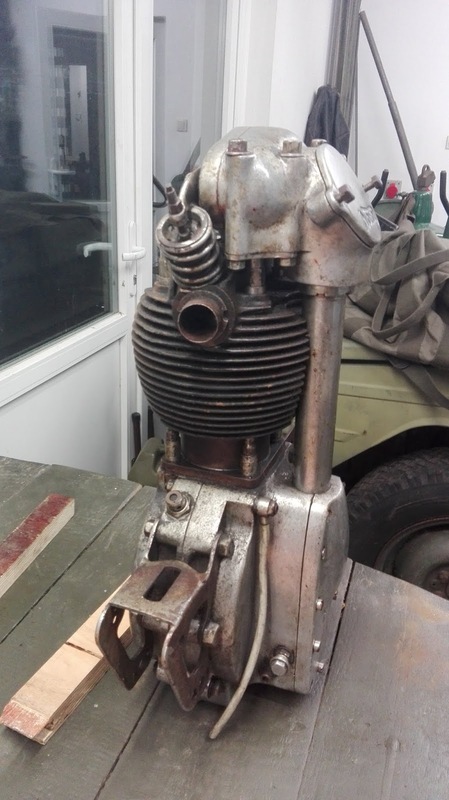 The cylinder head has front bosses - undrilled - for a possible head steady arrangement. There appears to be an oil feed to the upper rear crankcase stud for feeding to the barrel base. 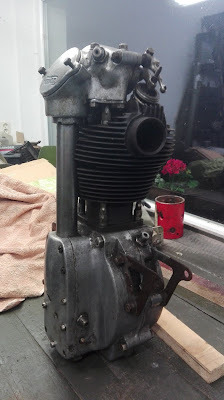 The cambox however appears to be the regular CS1 shape whereas that of the Gardner unit is not atall the same, using a different casting, bearing arrangement and cams. 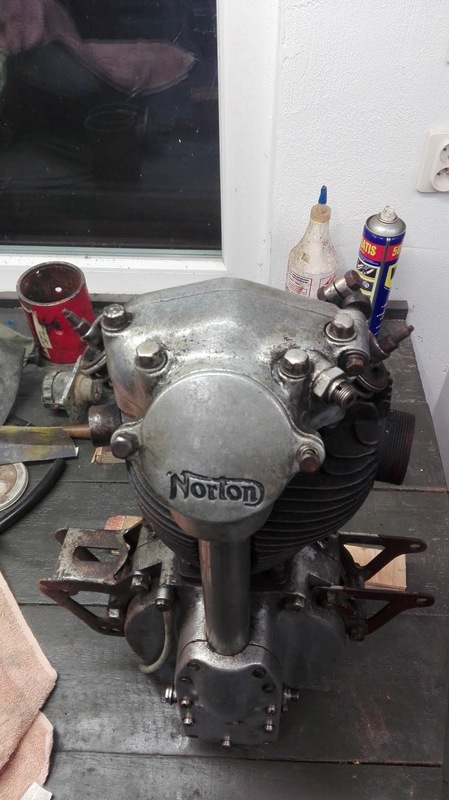 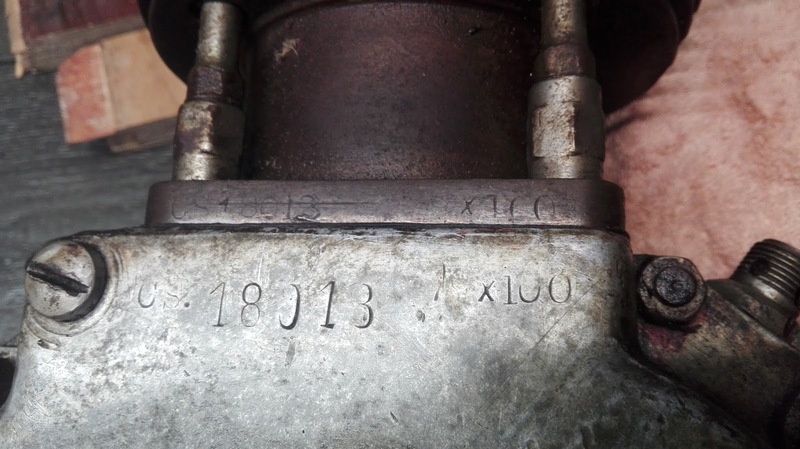 Most unfortunately, the original engine numbers have been removed some time ago and different numbers with no relevance to the Norton records have been stamped on. It is thus not possible to locate the engine in the records.